It should be noted that the S60 will be manufactured exclusively in Volvo’s first US factory in Charleston, South Carolina. The next generation XC90 will also be manufactured there beginning in 2021. “That will be the master plan of how electrification will come to the Volvo product range,” Ingenlath said. “We will not establish products beside our hybrids, we will introduce electrification as a powertrain variant within the existing portfolio. You could say that is different to a lot of the mass-production brands. But I have a hard time to understand how their plan will work in the long run. “Electrification is the future of the automotive industry, so how do you handle that as soon as you come to the majority of electric cars? How do you handle it in your portfolio? I think it’s much more natural to say it’s a powertrain variant that over time will take up the majority of the sold vehicles.” His remarks are clearly aimed at Volkswagen, which will sell its electric cars under the I.D. brand, and Mercedes Benz, which has established a new EQ brand for its electric models. BMW started out by creating its “i” division for the i3 and i8, but has now changed course and brands its electrified cars with labels that require the entire trunk lid to spell out in full. Volvo says every car in its product lineup will be fitted with an electric motor from 2019 forward. In many cases, that could mean a hybrid or plug-in hybrid variant being sold alongside all-electric models. 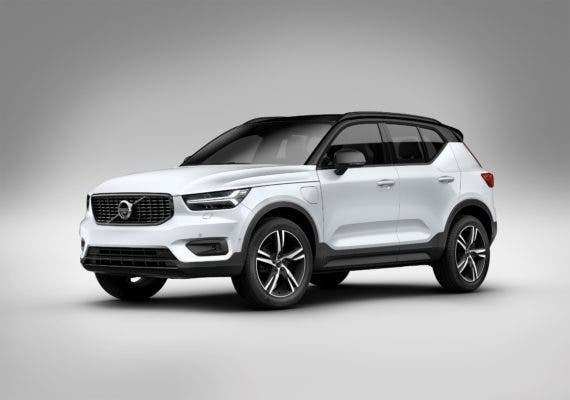 For instance, the XC40 will be available as a plug-in hybrid as well as a battery electric car. The XC40 chassis was designed specifically to accept a variety of powertrains. The XC40 will be manufactured in China for markets around the world. Interesting times ahead for the Chinese-owned Swedish brand, which like many other manufacturers is trying to find its way forward as the electric car revolution evolves.